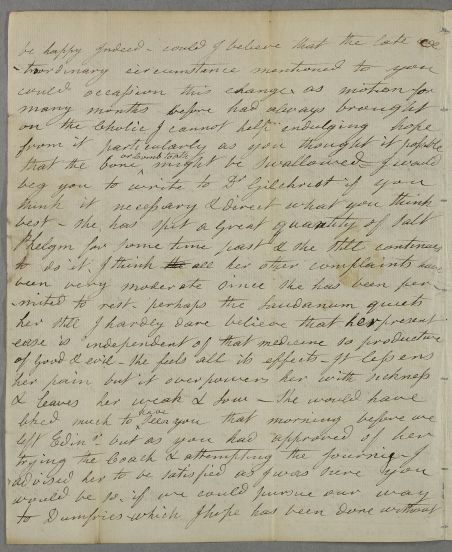 Letter from Philadelphia McMurdo, regarding the case of her sister Jeanie who has journeyed from Edinburgh to Dumfries by coach on a specially designed 'bed' (stretcher), lent by Cullen. She has very painful colic for which she takes an opiate. 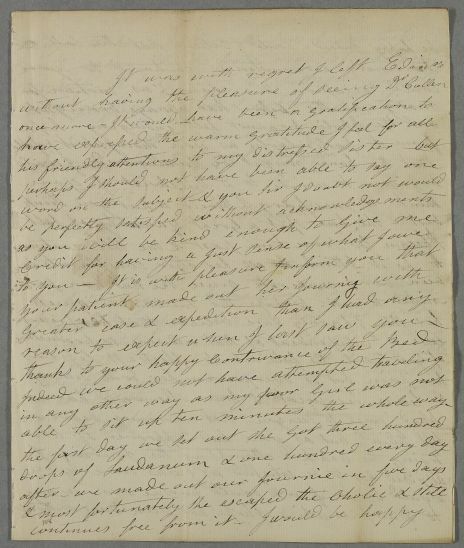 Summary Letter from Philadelphia McMurdo, regarding the case of her sister Jeanie who has journeyed from Edinburgh to Dumfries by coach on a specially designed 'bed' (stretcher), lent by Cullen. She has very painful colic for which she takes an opiate. Case of Miss Jean ["Jeanie"] McMurdo [MacMurdo] who in 1775 has a fever, in 1778 has a bad chest condition with feverish symptoms, and then develops severe bouts of colic. 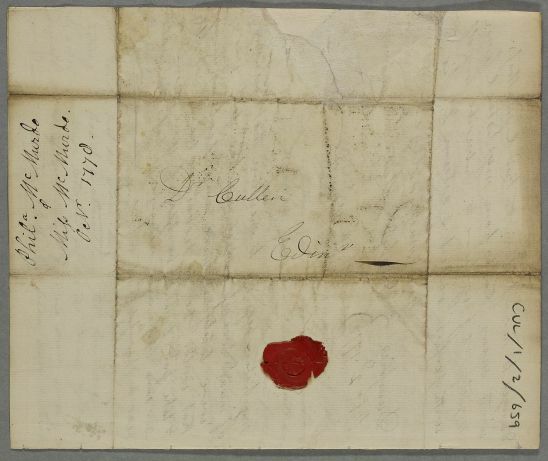 1: For Cullen's design for a stretcher to be used in coaches, see letter ID:253. 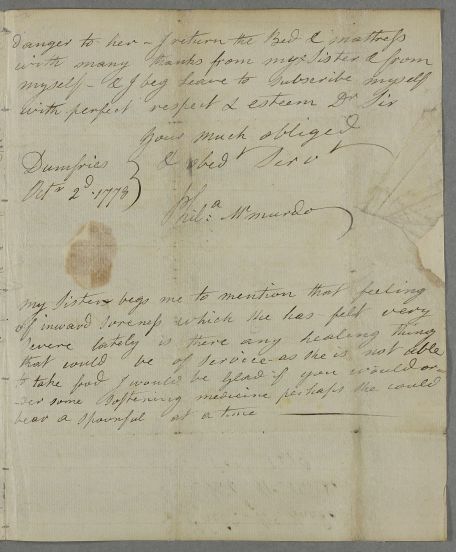 2: This presumably refers to Cullen's bespoke stretcher (see Letter ID:253). It is unclear if this was a commercial service he frequently arranged for bed-ridden patients needing to travel by coach or a unique personal favour.